I’ve been exploring nopCommerce. It’s an open source e-commerce shopping cart. I spoke at their conference in New York a few years ago and they were considering moving to open source and cross-platform .NET Core from the Windows-only .NET Framework, so I figured it was time for me to check in on their progress. 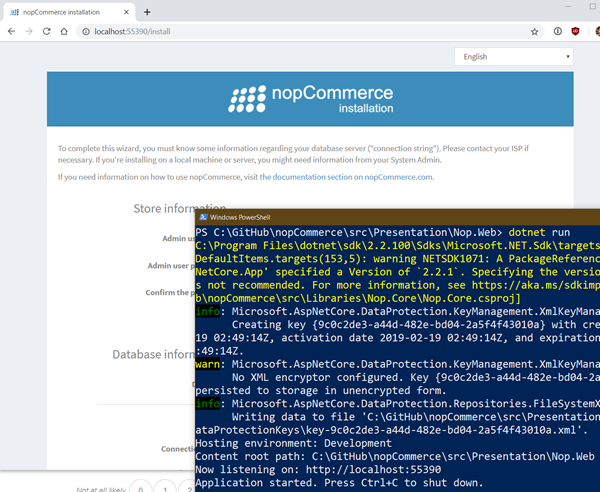 I headed over to https://github.com/nopSolutions/nopCommerce and cloned the repo. I have .NET Core 2.2 installed that I grabbed here. You can check out their official site and their live demo store. I have SQL Express installed but I could just as easily use SQL Server for Linux running under Docker. I used the standard SQL Server Express connection string: “Server=localhostSQLEXPRESS;Database=master;Trusted_Connection=True;” and was off and running. 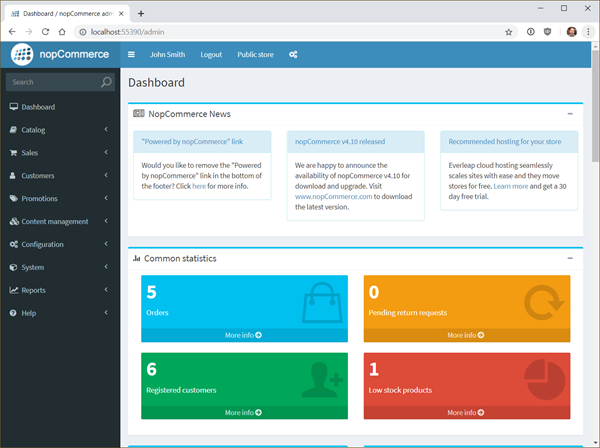 It’s got a very complete /admin page with lots of Commerce-specific reports, the ability to edit the catalog, have sales, manage customers, deal with product reviews, set promotions, and more. 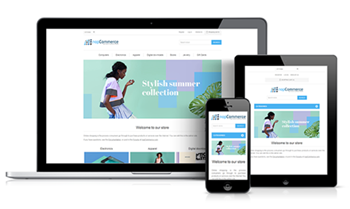 It’s like WordPress for Stores. Everything you’d need to put up a store in a few hours. nopCommerce has a very rich plugin marketplace. Basically anything you’d need is there but you could always write your own in .NET Core. For example, if I want to add Paypal as a payment option, there’s 30 plugins to choose from! NOTE: If you have any theming issues (css not showing up) with just using “dotnet build,” you can try “msbuild” or opening the SLN in Visual Studio Community 2017 or newer. You may be seeing folders for plugins and themes not being copied over with dotnet build. Or you can “dotnet publish” and run from the publish folder. Now, to be clear, I just literally cloned the HEAD of the actively developed version and had no problems, but you might want to use the most stable version from 2018 depending on your needs. Either way, nopCommerce is a clean code base that’s working great on .NET Core. The community is VERY active, and there’s a company behind the open source version that can do the work for you, customize, service, and support.